This audiotour will take you to the discovery of the ancient walls of the city of Catania: an intense story of skillful buildings and reconstructions, a story that also tells about natural disasters which totally upset the appearance of the ancient city, rebuilt as a Baroque town, further away from the sea. The story we are going to tell you begins in the 11th century, 1000 years ago, when the Normans organized a control system based on watch towers, defensive walls and outlying churches including the Cathedral itself. This story continues with the construction of the Ursino Castle in 1239, wanted by the Swabian Emperor Frederick II, and it ends with the immense work of fortification wanted in the mid 1500' by Emperor Charles V and completed by the great architect Tiburzio Spannocchi, who in 1578 designed the first orthogonal plan of the city of Catania. We will also discover the points of interest showing the two destructions that the fortifications suffered: the first was the eruption of 1669; the second was the 1693 earthquake that destroyed what had kept standing less than thirty years earlier. Then, the story goes on with Catania rising again as a baroque city , where even the ancient walls were utilised to make new buildings! We have briefly described this story, now follow us on our itinerary! 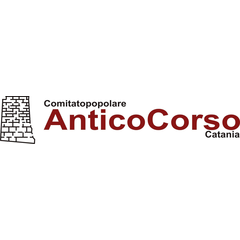 This audioguide was made by students of IV E classroom of the "Nicola Spedalieri" classical high school in Catania, with the coordination of prof. Giuseppina Reganati, as part of a project of Alternanza Scuola Lavoro for the school year 2016/2017 in collaboration with the Antico Corso Association and under the supervision of Luna Meli as an external expert; it is part of the Sicilia Beni Culturali project for izi.TRAVEL coordinated by Elisa Bonacini. The storyteller's voice is that of Luna Meli.